Swiss physician; born at Basel Dec. 25, 1839; educated at the universities of Würzburg, Göttingen, Berlin, and Basel (M.D. 1864). In 1866 he became privat-docent at the University of Basel, and in 1868 at that of Greifswald. In 1872 he was appointed assistant professor at Basel, and in 1874 professor of pathology and pathological anatomy, which position he resigned in 1898. 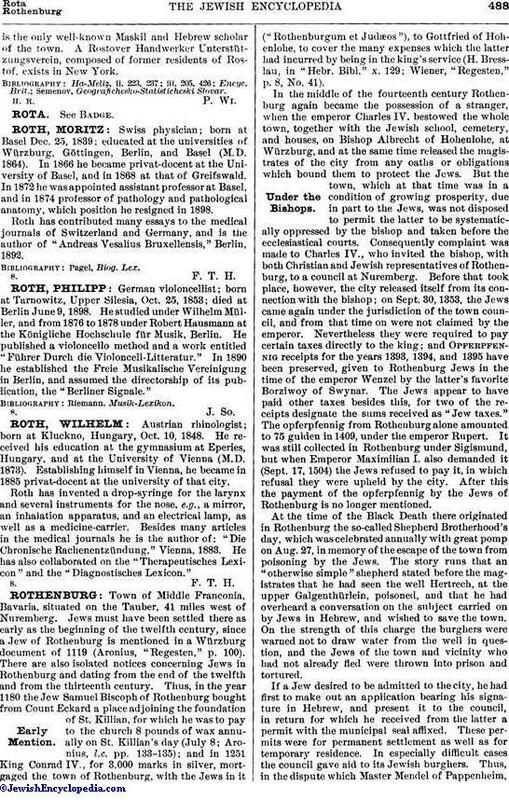 Roth has contributed many essays to the medical journals of Switzerland and Germany, and is the author of "Andreas Vesalius Bruxellensis," Berlin, 1892.